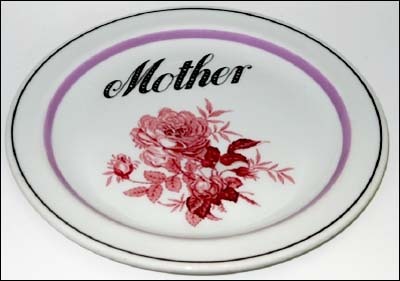 This plate was sold at auction in Grafton in 2011. 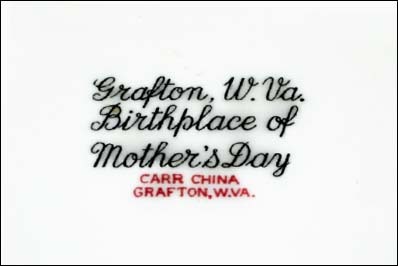 It is not known if it was ordered by Andrews Methodist Church in Grafton, home of Mother's Day, or was even a promotion by the pottery. The rose in the center is #6065. 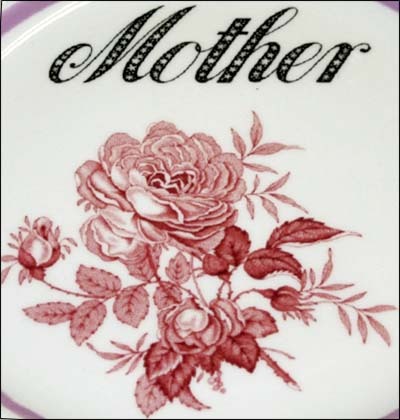 The photos were contributed by Briar Patch Antiques in Clarksburg, W.V. – phatmansjunque on ebay.